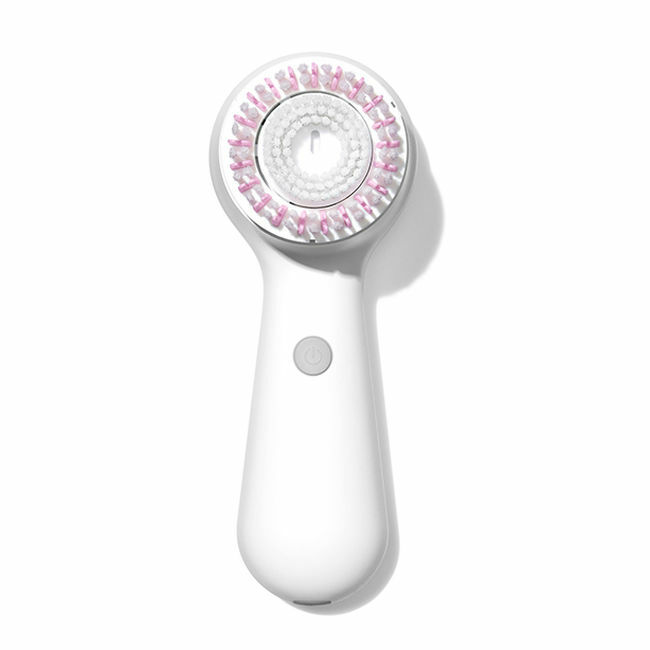 Lightweight, compact sonic facial cleansing brush with 2 speeds: Delicate and Universal. 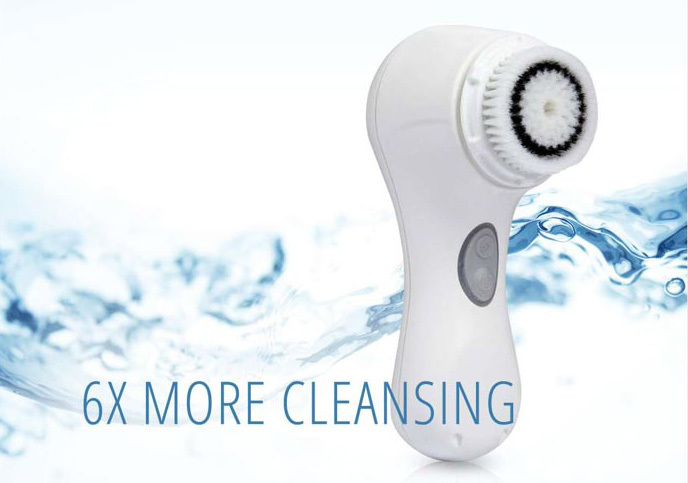 Ultra-effective facial cleansing removes dirt, oil and makeup 6 x better than your hands alone. 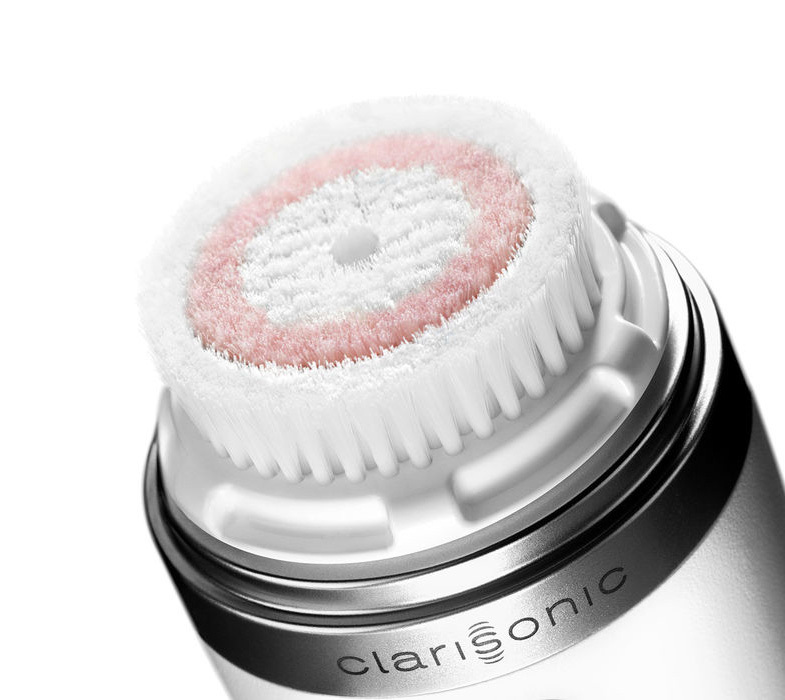 The Clarisonic Mia 2 gives you a gentle and thorough sonic facial cleansing experience at home or on the go. Beautiful skin in the palm of your hand. 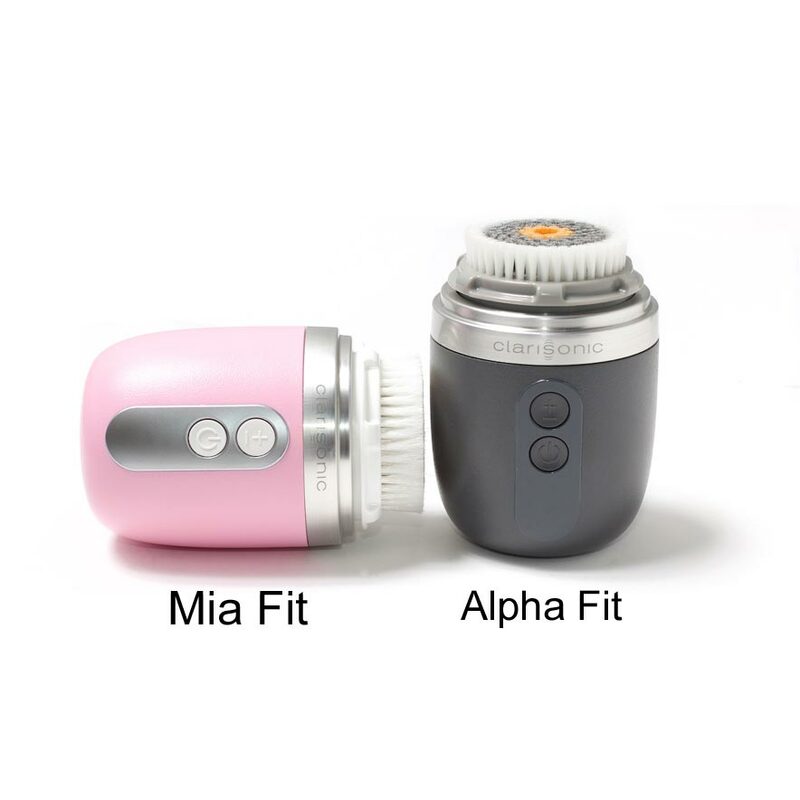 The Mia FIT sonic facial cleansing brush has two speed settings for sonic cleansing your skin: Delicate and Power Cleanse to remove impurities, sunscreen and makeup 6x better than hands alone. Ideal for makeup removal – no additional makeup remover product needed. 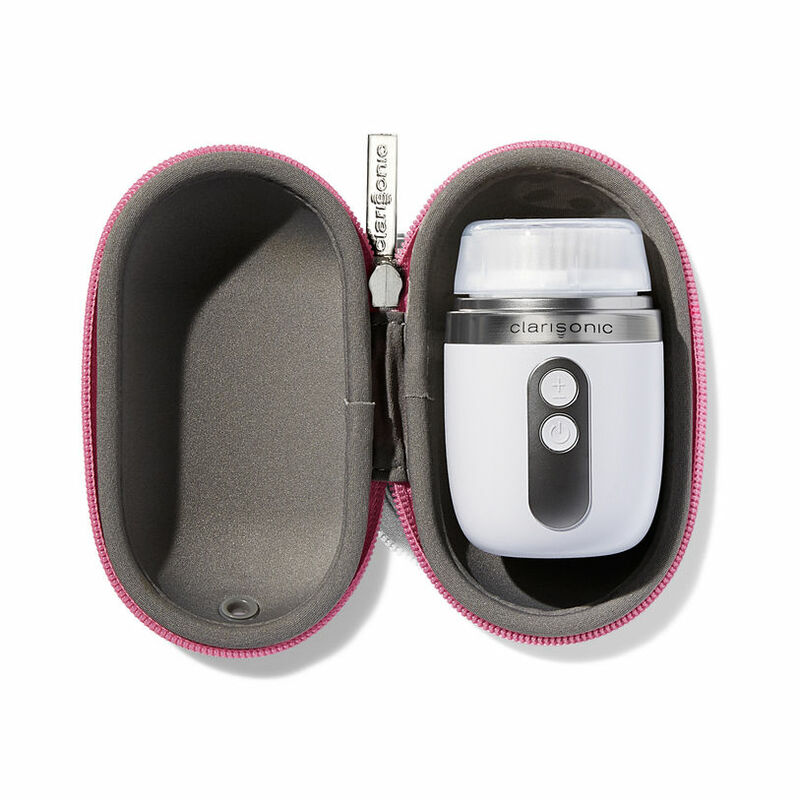 The new compact, lightweight design fits in your handbag, gym bag or travel bag for radiant, smooth skin on the go. Just in time for summer, perfect on-the-go storage for your Mia or Alpha Fit. 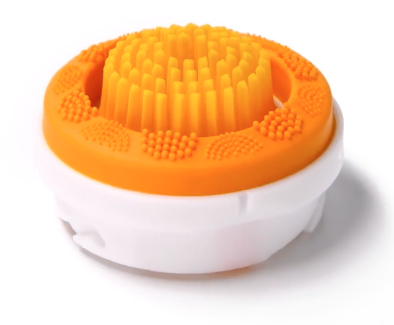 Keep your device and brush head protected from other items in your bag with a custom-molded reinforced shell. Sonic makeup brush blends a flawless look in 50 seconds or less. 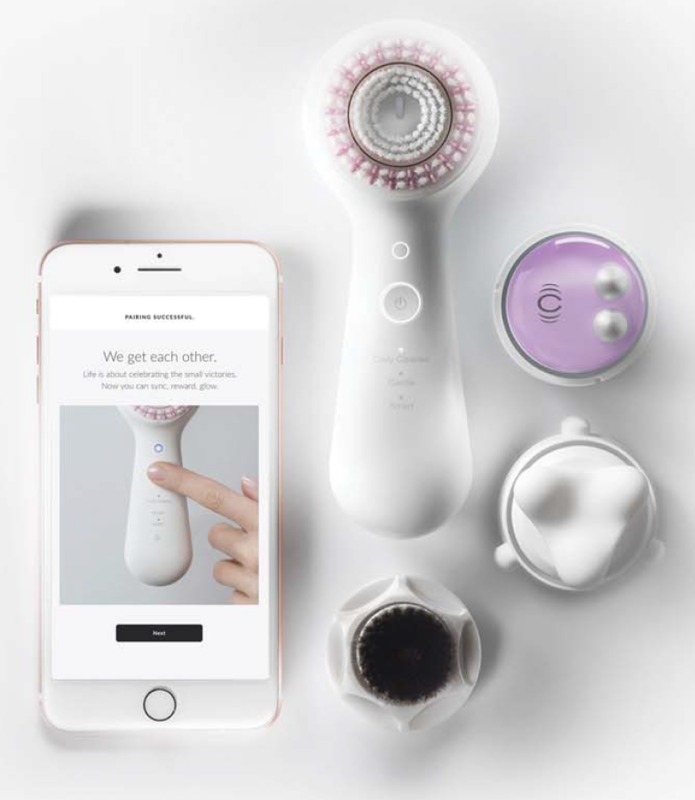 The Clarisonic Makeup Brush utilizes patented oscillation technology to generate more than 18,000 micro-blends per minute. 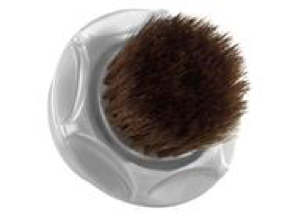 The makeup brush gently provides a flawless. This dynamic dual-layer design that gently massages the facial skin, generating fluid forces to cleanse 6x better than hands alone while increasing skin’s natural hydration levels. 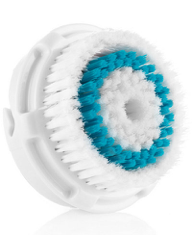 Compatible with all Clarisonic facial cleansing devices. 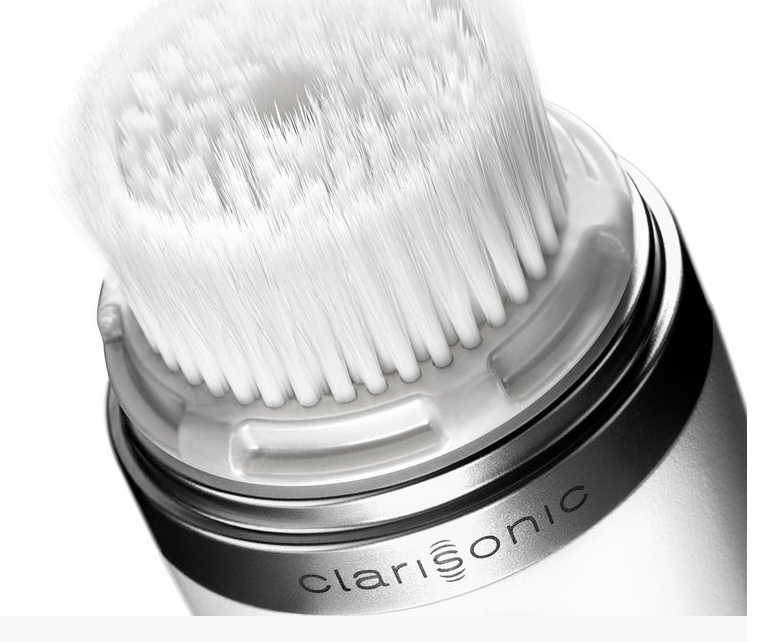 Ideal for most skin types, including sensitive and combination skin, the Clarisonic Sensitive Cleansing Brush Head provides a gentle yet thorough cleanse. 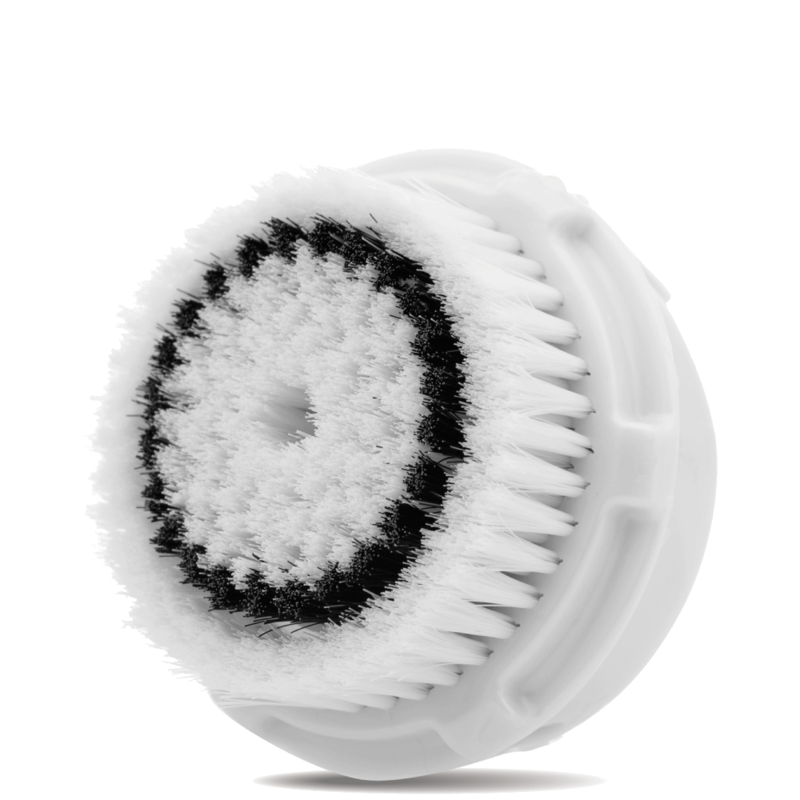 Compatible with all Clarisonic sonic cleansing devices.